IRÁN. YVERT 2127/30 SERIE COMPLETA NUEVA CON CHARNELA Y USADA. ARTESANÍA. 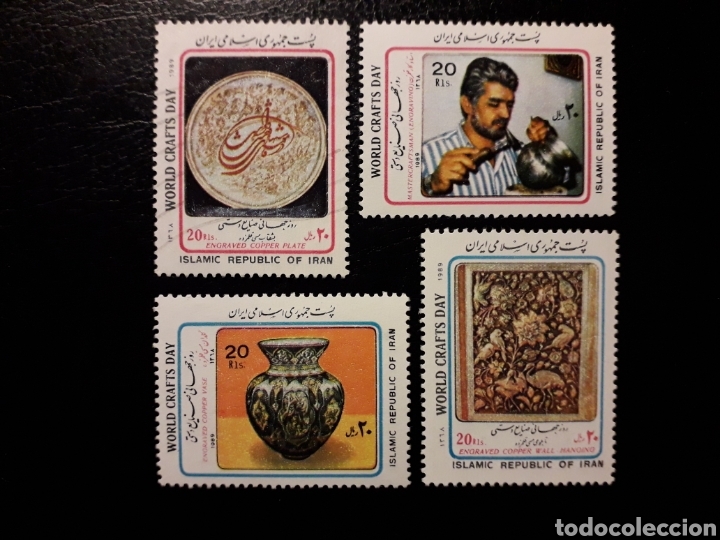 SELLOS DE IRÁN. ARTESANÍA. YVERT 2127/30. SERIE COMPLETA USADA. IRÁN (PERSIA). YVERT 74/84. SERIE COMPLETA USADA Y NUEVOS SIN CHARNELA. IRÁN. YVERT 2105/8 SERIE COMPLETA NUEVA CON CHARNELA Y USADA. COMUNICACIONES. TRANSPORTES. Hora oficial TC: 20:31:36 TR: 124 ms.